What would happen if we took away a huge chunk of our health care services, closed many of our schools, reduced our number of teachers, reduced construction and maintenance on roads and highways, and downsized government and social services? That’s the question people are “NOT” asking when it comes to the oil and gas industry in Canada. Rather than focusing on the impact of life ‘with less’ oil exploration and production, we find ourselves in other divergent conversations. Conversations like increasing provincial taxes, federal environmental regulation, and minority group concerns. 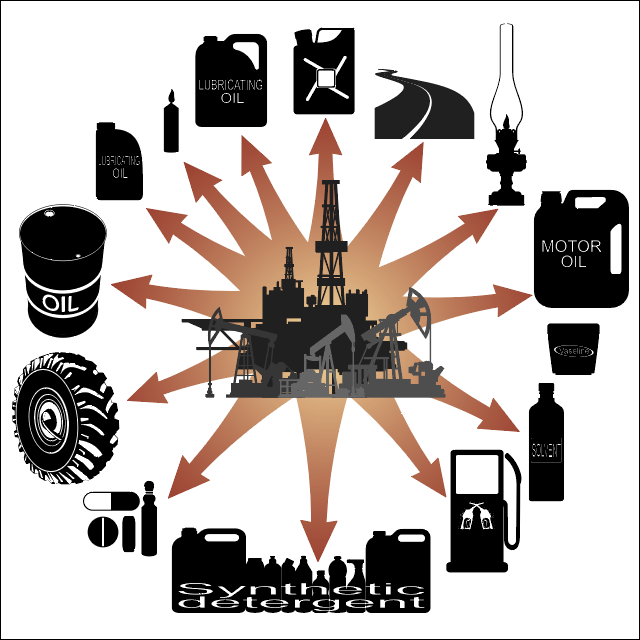 Oil has emerged as one of the most important commodities in modern day life. We use it for our cars, buses, planes, trains and other forms of transportation. We use oil to fuel the much-needed electricity that lights our homes. Oil is the foundation of our businesses, factories, and machines. And what most people don’t consider, is that oil and gas are the bridge to the renewable energy sector. Oil is a raw material used to produce fertilizer which supports our food production and supply. Not only do we use oil fuel for cars, trucks, and planes but by-products from oil refining are used in the production of plastics and chemicals, as well as many lubricants, waxes, tars, and asphalts. Gas provides electricity and is also used for cooking, heating homes and buildings, and gas remains a foundation for our day to day living. Oil and gas fuel many industrial operations, including glass and steel foundries, aluminium or nickel smelters, and many manufacturing industries. Gas takes the form of compressed natural gas (CNG) or liquefied natural gas (LNG) as a transportation fuel that keeps Canada moving forward. Oil is a fundamental component of plastics which is an integral part of computers, phones, appliances, homes, day to day products like razors and kitchenware. Synthetic fibres for clothing such as acrylic, nylon, and polyester all use oil. Oil and gas are essential for living the standard of life we have created for ourselves. Think about a limited oil supply that impacts the gas for your car or the planes that take, or the clothes that you wear. Think about oil and how it is a big part of that phone in the palm of your hand. Think about a declining Canadain oil industry, and it impacts on the economy and our social systems. Think about the loss of meaningful work, if the oil industry were to collapse in Canada. It would mean millions of people; directly, indirectly and supporting the oil and gas sector, that will be impacted. 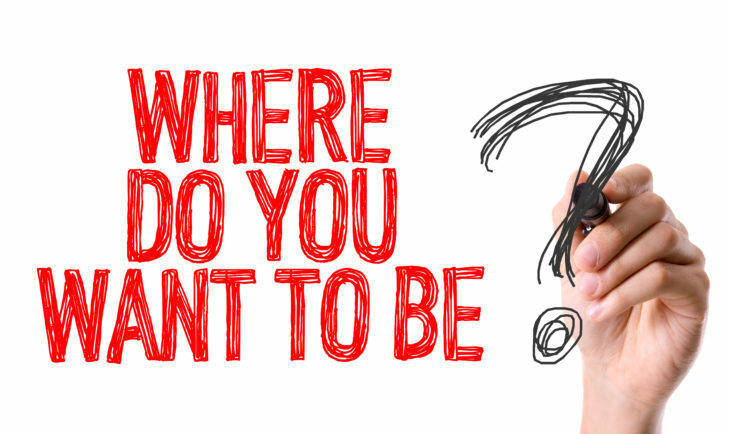 What would that do to our social confidence, our sense of purpose, our family relations and community health? These are far more pressing considerations that need the attention of the Canadian public. Oil companies thrive with strong HSE, not at the expense of HSE. What we know for sure is that the oil and gas industry is so important to the world’s oil demand, it has elevated at exponential rates over the last 50 years. As a result, it attracts the top engineers, construction teams, oil companies and major contractors to build the world’s oil and gas industry and make it profitable. I believe the biggest fallacy in the perception of oil companies is that profitability comes at the expense of health, safety, and environmental responsibility. Nothing could be further than the truth. Every smart CEO knows that profitability comes “as a result” of health, safety, and environment (HSE) being the top agenda. After all, what is the cost of sickness on the job? What is the cost of loss of life? What is the cost of environmental cleanups? All of this is considered by oil companies in their exploration and development plans. 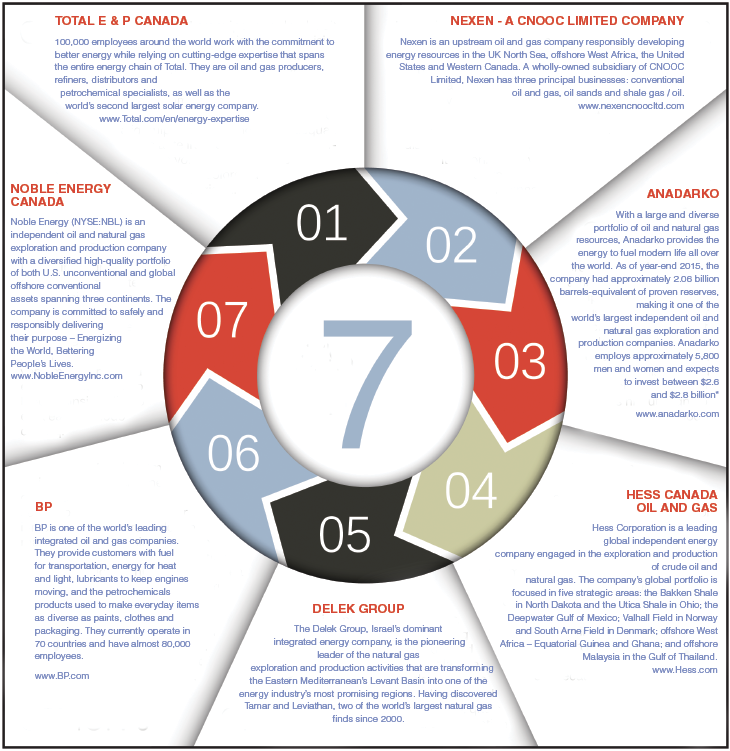 Rest assured HSE is at the very top of the majority of oil industry players agenda in Canada. So much so, in fact, that Canada is now one of the most highly regulated and safest oil and gas sectors in the world. Those complaining about oil and gas should not interrupt the people who are doing it. The truth about the oil and gas industry in Canada is one of the most highly regulated industries in the world is a story needs to be told and understood. The public, special interest groups and minority groups need to understand the vast impact of oil and gas on the country and then consider personal agendas and how they may be impacted. Take for example the most recent development and construction of the Hebron platform in Newfoundland. 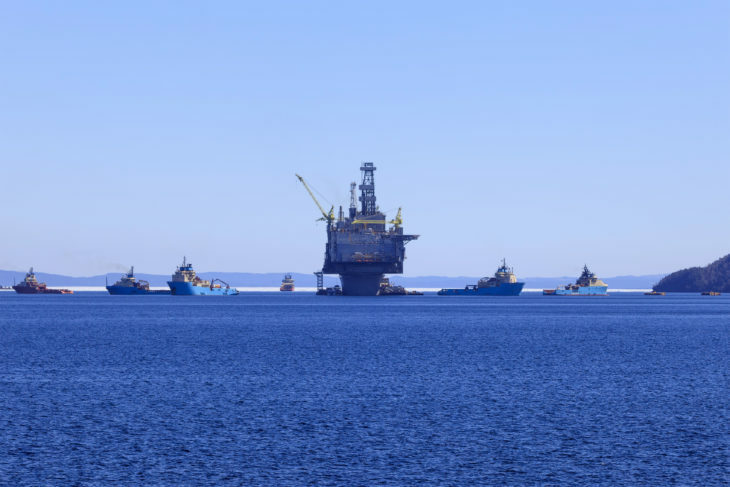 Hebron is a mammoth gravity base structure and topsides platform that is designed to withstand the toughest conditions in the world in the Atlantic Ocean off the coast of Newfoundland. To give you an idea of the magnitude of the project it required upwards of 7000 people to build the Hebron platform and cost over $14 billion to construct it over a five-year period. It required a conscious safe workforce to accomplish this, with some of the greatest minds on the planet executing this engineering feat. Undeniably one of the highest safety records in the world, the Hebron project boasts 40 million hours, without any lost time injuries. That’s truly incredible for a project of this size and scale. Where’s that story in the mainstream media? Why is that not the top conversation above all the complaints? If Canada were strategic about health, safety, and the environment, it would use the oil and gas industry as a ‘model example’ of how our other sectors should be operating. By adopting oil and gas best practices to our other resource sectors, we would most likely be the greenest, safest, most environmentally responsible place on earth. We would be an example for the rest of the world to follow. That should be the Canadian energy goal. Given the oil price decline and the shift into an entirely new model of business, the time is ripe to adopt a vocal advantage about a thriving industry that includes the world’s greenest oil and the world’s most socially responsible oil. In Canada, we don’t have to go outside the country to hire cheaper labour. Quite the contrary we hire, contract and work with local people. In Eastern Canada, it is written into the legislation. The Atlantic Accord which governs operations in Eastern Canada requires operators and contractors ensure local benefits, employment, and royalties. Which in turn means not only jobs, an educated workforce and a thriving economy, but it also means royalties and taxes of which make up the third largest sector in Canada’s GDP. In Canada, the entire oil and gas industry is a fair trade. Fair trade and environmental stewardship are in the DNA of the oil and gas sector. That’s something to be proud of, to celebrate, to make known publicly in the face of a minority of naysayers and dramatists with secular agendas. Canada has proven oil reserves of 171 billion barrels, which means it’s number three in the world, behind only Venezuela and Saudi Arabia. That’s huge! The oil sands deposits in the province of Alberta account for more than 95% of the country’s reserves, and the remaining comes from areas like Eastern Canada where the offshore oil and gas industry is the primary driver of the economy in the province of Newfoundland and Labrador. Oil is so important to Canada that most of Canada’s oil exports are sent to the US at 77%. And in partnership, the United States accounts for 66% of Canada’s goods imports. Oil and gas extraction in Canada is the one of the nation’s largest contributor to the GDP. Real estate is 13%, Manufacturing is 10.4%, and mining and oil and gas is 8.2%. Canada’s oil and natural gas industry paid an average of $15 billion to federal, provincial and local governments in the form of taxes and royalties each year from 2013 to 2016. Those funds are a very important part of the pie that goes towards the roads you drive on, the teachers and schools who support your children, and your medical expenses to name a few. Support for more than 20,000 businesses in Alberta, including 327 Aboriginal companies, representing about $4 billion in activity in 2015. Who’s investing in Canada and why? In 2016, Canada’s exploration and production (E&P) sector invested $37 billion of capital expenditures, a testament to their belief and long-term commitment to Canada. Land sales offshore Newfoundland in 2016, equalled $758 million and eight successful bidders offshore. The international interest from bids is impressive in the current global environment and is a testament to the confidence in Canada’s resources and stable political environment. With low oil prices, the investment in companies and exploration has declined. 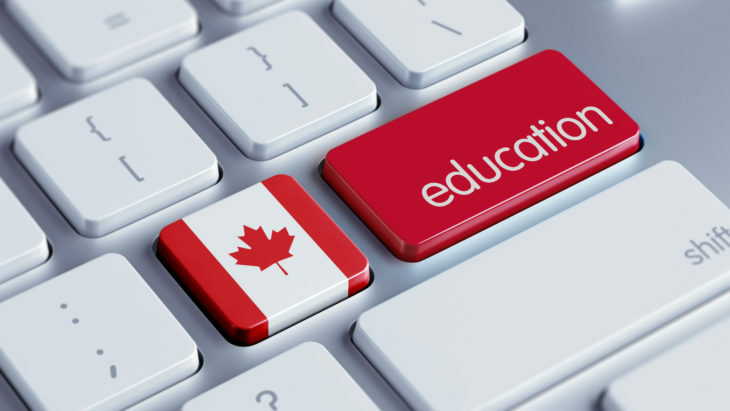 The government of Canada and provincial governments that are smart and proactive will not only provide new investment options that mitigate investment risk but will decrease regulatory processes, so projects come on stream faster. That is a formula for success in a depressed oil price market. In June 2016 directed the Minister of the Environment and Climate Change, there is to be an immediate review of Canada’s environmental assessment processes to regain public trust and help get resources to market. The reality is, the lack of trust in the public comes from a lack of knowledge not a lack of policy. What works on land in Alberta will not work offshore Newfoundland. There’s no one cookie-cutter solution. Rather each industry sector should scout out best practices, adapt, implement and get on with it with strong approval goals. What would it mean to investment if we ensured large project approvals took 12 months. Do you think that would be attractive to foreign investment? That one move alone, coupled with our safe political culture, could put Canada at the top of the investment list for oil companies. Federal timelines for major energy project reviews have been longer than 36 months, and many have been substantially longer. That’s bogging us down and creating uncertainty for oil companies who want to invest here. It also undermines companies who are already established here and have a stellar track record when it comes to health, safety and Environment. In a time when oil price is down, and we have are the world third largest holder of oil resources on the one hand, and on the other, we have the potential to be the next ‘North Sea,’ in eastern Canada, can we afford to wait for over extended regulatory approvals? The single most self-sabotaging thing we can do is bog down the natural process of oil and gas business with red tape and taxes. A booming economy encourages investment incentives and reduces tax risk. This, in turn, creates exponential growth which ultimately feeds the GDP and Canadian social systems. Where is the NATIONAL Energy Plan? Alberta’s oil patch is not recovering from the recent downturn as fast as other jurisdictions. Not to be ignored, the writing is on the wall. A fast, disruptive solution for Canada is required. Where is our Strategic National Energy Plan? 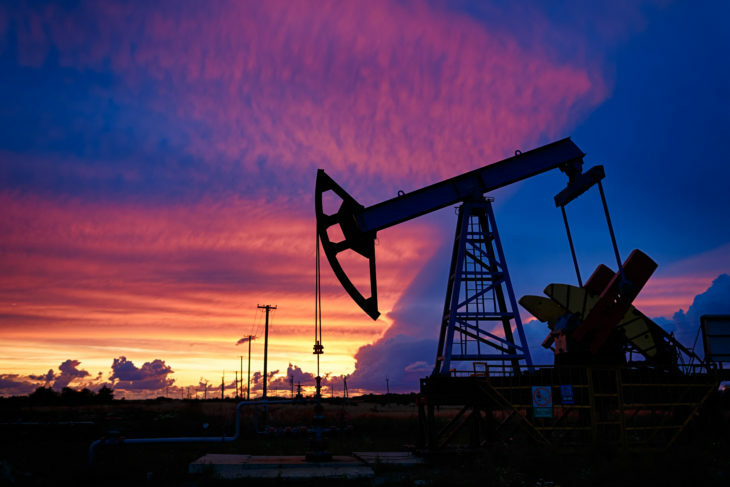 A new report by the Canadian Association of Petroleum Producers has proven that oil and gas companies have not ramped up capital spending in Alberta with the same pace as they have in the United States. This puts Canada at a disadvantage given the fracking industry in the US is booming, and with Trump’s pro-oil policies, it’s only going to get stronger. Canada needs to step up and compete otherwise there will be a lot more than 13 companies diverting spending from northern Alberta to U.S. projects. The Canadian Association of Petroleum Producers, have identified 31 regulatory and policy areas it believes can be improved or streamlined to make Alberta more attractive for oil and gas investment. That’s where the focus needs to be. Let oil companies be responsible and recommend streamlined processes. Oil companies have done a great job with health, safety and environment, so there is a foundation of proof already built in the industry that can naturally be transferred to processes and regulatory regimes. As well, the CAPP plan is touted to create thousands of jobs while generating $4.5 billion in gross domestic product and $200 million in additional income tax revenues. We can’t afford ‘not’ to adopt that level of industry intelligence into our bottom line. We can’t afford to wait for a perfect storm, a crisis or even a Tsunami that comes in the form of localised narrow views or secular lobbyists. When you consider that the energy industry in Canada is already made up of highly qualified and experienced people you have to ask yourself one question. Do I want the oil and gas industry implementing our health, safety, and environmental strategies or do I want politicians with limited oil and gas experience to do that for me? The east coast has a ban on hydraulic fracturing, for me that is anti-oil and gas. why is it that 90 percent of alberta non oil sands is hydraulic fractured but the east coast of canada has banned the process? why can the east coast say its not safe but the west of canada still use this process?